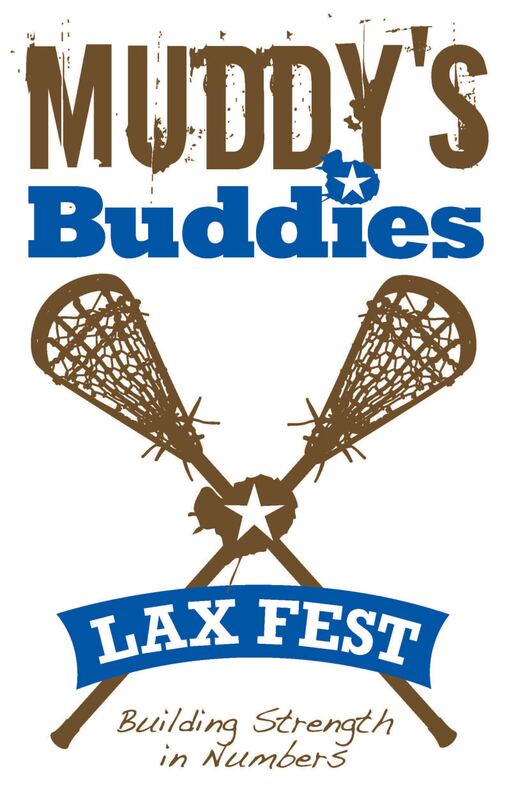 It’s supposed to be beautiful today for the Dude’s Edition of the Fourth Annual Muddy’s Buddies Lacrosse Festival on Sunday, May 19th. The boys’ teams start at 8 AM on the turf field of the Reifsteck Stadium at Brighton High School. 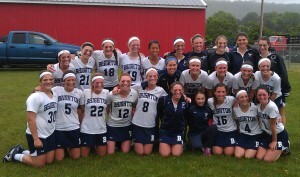 Part One of the MB Lax Festival was two weeks ago, May 5, at the same place, same times. And the girls crushed it– the weather could not have been better, there were some great games and sick goals, the T-shirts this year are killer, and the food rocked. They had taco-in-a-bag, hot dogs and such– comin’ right off your Bar-B-Q grill. I am psyched, because the weather should be perfect—they’re sayin’ in the 70’s, so not super-hot, but shorts should be good, and it won’t be super sunny. But you better wear the sunscreen anyway, just to be safe. Muddy would want all of his Buddies to be all over the sunblock, or maybe he would say “Buddies, make sure it’s all over you.” Ha-Ha. And all of the proceeds (I am talking about the cabbage, the dough, the rubles, the dollars, yo…) from the games and concessions go to Muddy’s Buddies and their families. Those are the kids that the whole Muddy’s Buddies thing is about– MB helps kids with cancer (or other chronic conditions) by pairing them up with school sports teams for support, friendship, and encouragement. So the Buddies, and there are 17 of ‘em at this point, might go to team events, like games, practices, pasta parties or just for your general hanging out. Ya know the Great Muddy, himself, was all about kids and kids’ bein’ safe and smart. He was a great athlete and a great coach himself, but an even better teacher. He taught English and he was big on kids expressing themselves in all different ways—like writing in a journal, talking about a poem or a movie, making a sweet pass for an assist, or just takin’ a long bike ride. He believed everybody was an artist AND an athlete! A Youth Lacrosse Tournament supported children with serious illnesses. 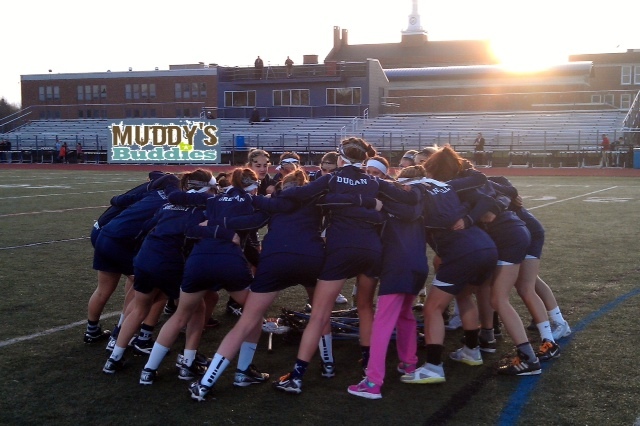 Sunday was the 4th Annual Muddy’s Buddies Lacrosse Festival at Brighton High School. The Muddy’s Buddies matches children with cancer and other illnesses with high school and college sports teams and clubs. Sunday’s lacrosse games were played by girls between 1st and 6th grade. The boys will hit the field May 19th. Muddy’s Buddies has been helping children who have been touched by cancer and other chronic illnesses in Rochester for nearly 4 years now. And as we enter another Spring season, I can’t help to think about how much Muddy’s Buddies continues to grow and evolve. It amazes me to think about how the community has reached out and helped us become what we are today. Thanks to such wonderful and overwhelming community support, we have succeeded in becoming what our motto promises, we increased our numbers and we have become stronger. And, more importantly, we have made others stronger as well. And the numbers continue to grow. We are stretched across 4 different counties in Western New York. We are connected with 10 different school districts, one college, and one professional sports team. We are 17 different teams, 11 different sports, 1 dance group and 1 amazing jazz band. We have made 17th buddy connections and anticipate that a couple more connections will commence in the coming days. I can’t believe it’s less than one week til the next Muddy’s Buddies Lacrosse Festival. 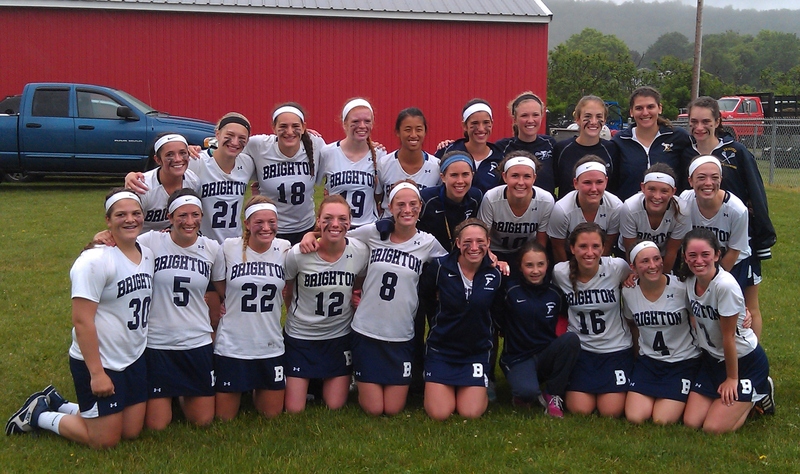 The girls’ lax teams play on Sunday May 5th on the turf field at Reifsteck Field at Brighton High School. There are gonna be games all day long starting at 9 AM. There are gonna be divisions for first and second graders, third and fourth graders, and fifth and sixth graders. It’s really cool that they play on that turf field at Brighton, ‘cuz that’s where the high school teams play. It’s especially sweet because it’s not a muddy mess when it’s raining. Besides the games, and the girls usually have three or four games all day long, there’s fun stuff like face painting , and ridiculous raffles, a bounce house, and great food (You have to try the “ taco in a bag”—it is sick –in a good way). You do have to check out the T-shirts too. They are always so su—weeet. Every year they’re better than the year before. Last year they were cool with sky blue background and printing in a dirty, muddy-water brown. The best part is that it’s all to raise el dinero (the pesos, the Benjamins—the moolah, los dollars) for the Muddy’s Buddies group that supports kids with cancer (and other illnesses, too). Muddy’s Buddies tries to connect kids with cancer to teams for support, friendship, and general hanging-out. There have been high school sports teams and professional teams (the Rhinos), even a concert band. There’s a lot more to say about this, but check back in a week and be there on May 5. 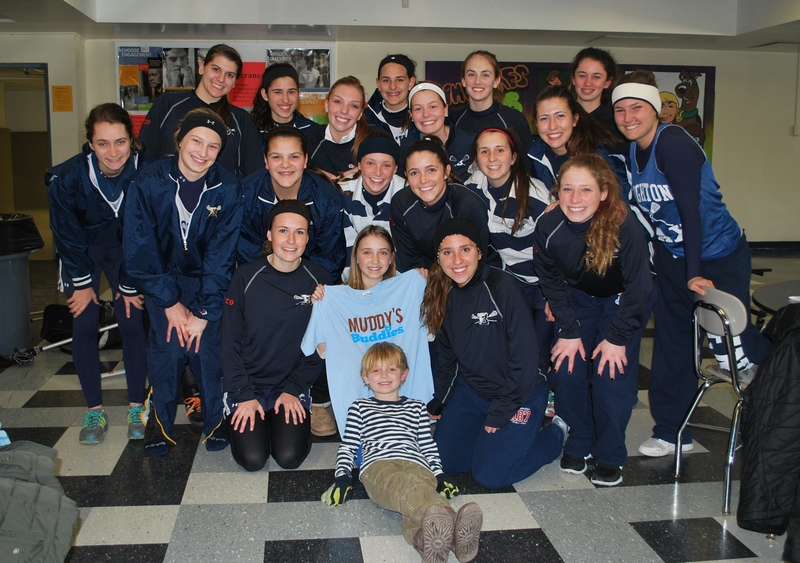 Nancy and Friends Fighting Cancer, Inc.
A few weeks ago, the Brighton Varsity Girls Lacrosse Team welcomed their new buddy Kassidy to the team. Each of the girls on the team signed a card for Kassidy, and made her feel as though they had always known her. Kassidy has loved being at the practices and games (even in the freezing, blowing snow!). The girls have really enjoyed getting know her and frequently contact her to see how she is and to make sure she knows when they are on the field. After talking to the girls, it is clear they love having her around as much as she likes being there. This is the first time that I have personally known a Buddy and it has been a more than rewarding experience. It has been wonderful to be able to hear the immediate feedback on how this impacts the family’s life and most importantly the Buddy. One thing I have learned over the past year – it is a truly rewarding experience, not only for the Buddy, but most often for the High School students and coaches who have adopted the Buddy. The only thing that ran through my mind after leaving the Buddy introduction was, “THIS IS WHAT IT’S ALL ABOUT.” This is why I feel so strongly about the importance of this organization. We make people’s lives a bit brighter, during difficult times.